Articulate Quizmaker templates are a great way to save time and share content with other developers. Templates include predefined quiz settings, design theme, result slide, player, and more. Templates can even contain pre-built questions and content slides. 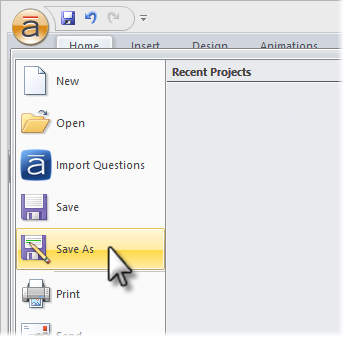 Click the round Articulate button in the upper left corner, and choose Save As. Browse to a location on your local hard drive where you want to save your template. Give your template a File name. 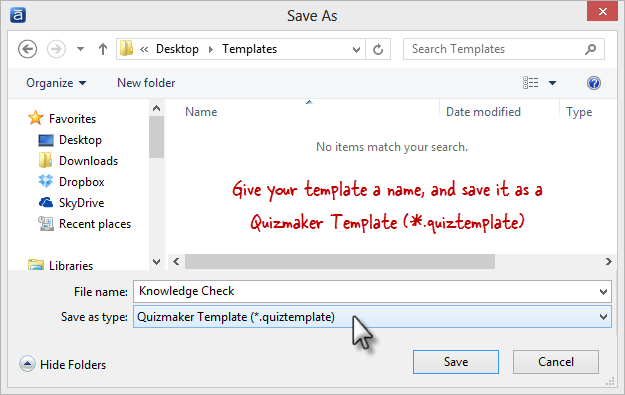 Use the Save as type drop-down to select Quizmaker Template (*.quiztemplate). If you want to share a template with another developer, send them the file you just created. At the launch screen, click From quiz template. Browse to the template you want to use, and click Open. 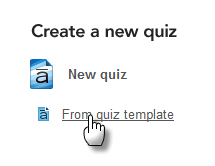 A brand new quiz gets created with all the settings and content from the template.